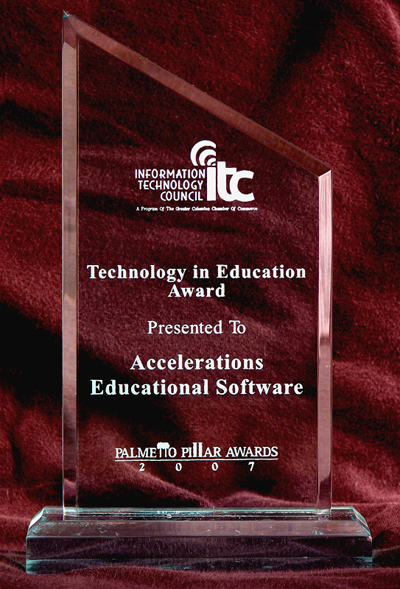 Getting a pat on the back: The Columbia Chamber of Commerce Information Technology Council (ITC) honored Accelerations Educational Software (AES) with the Palmetto Pillar Award in the category of Technology in Education. 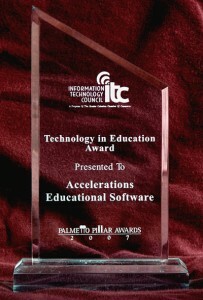 The ITC presented Accelerations Educational Software with the award for the company’s continued contributions to education. We have received plenty of recognition and feedback from our customers, but this is the first time that a business community has recognized our contributions. This type of recognition could lead to the financial backing that would accelerate our mission. Karl Smith’s son, Karl Garay, began to talk when he was about a year old and was learning the things a typical one– year–old learns. A few months later young Karl had stopped talking and was not learning. Karl Jr. was diagnosed with autism, a disorder that has seen an “epidemic explosion” in recent years. Researchers blame this increase on many and varied factors including genetics, increased use of chemicals, vaccinations, and the environment. The research is still inconclusive on why, but the fact remains, autism cases are on the rise worldwide. “When you have a child with autism, it basically changes your life,” says Karl Smith. 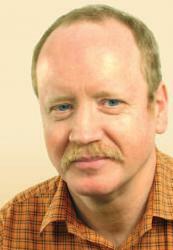 After observing his son responding to an intensive ABA program for autism, Smith began to seek computer–based learning programs for his child to learn at least some of what he needed to know on his own time. The products he found proved to be ineffective in helping with his son’s behavioral and educational development, so Smith put his engineering and artificial intelligence background to work, developing the DT Trainer and the Activity Trainer, two special needs software programs for children with autism and other special needs. “When I decided to develop a software program for my son and other children like him, I met with various researchers and educators to guide my efforts and also make sure I wasn’t reinventing the wheel,” says Smith, founder of Columbia, South Carolina–based Accelerations Educational Software (AES). Smith moved from Chicago to West Columbia with his family over 15 years ago to do contract work for AT&T. His desire to help his son learn and become higher functioning took Smith in another direction. Smith says he is the hub of a wheel that includes many researchers and educators, and extensive research in developing AES, which is geared to a two to nine year old age development. According to Smith, many children ask to “play the games” on the computer even after their standard therapy has ended. And while the software is educational in concept, the feeling of accomplishment the students receive while using it greatly impacts their behavior as well. AES is now used in almost 1,000 school systems nationwide and countless private homes. John M. Williams, an expert in the area of assistive technology, praises the software because it directly addresses the “practicality issue.” Williams said, “Students with autism are visual learners. They replay these videos in their head, therefore helping them to accomplish tasks. Karl Jr. is now a young teenager, enjoying life and learning more and more every day. He likes riding his bike, and his favorite thing is water. 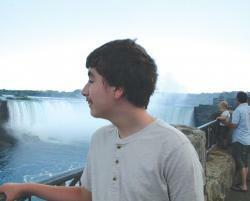 He was “blown away” by a recent trip to Niagara Falls. To learn more about this software visit www.dttrainer.com or call 803-403-1336. For information about autism, visit www.actforautism.com.